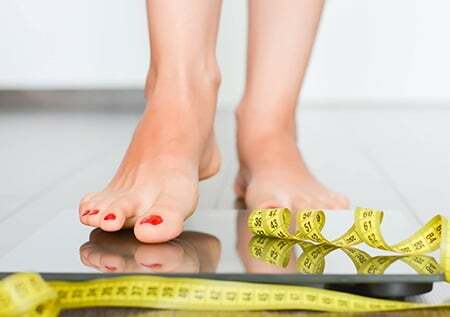 Many of the problems that prevent us from reaching our weight loss goals are due to hormonal imbalance. If you are careful about your food choices, exercise regularly and still aren't seeing the scale budge, your hormones may be to blame. When trying to reach the Zone, you’ll often hear us talk about the importance of hormonal control. When our hormones are unbalanced it can accelerate the aging process, decrease our overall wellness, and hinder our ability to perform or maintain our weight. Here we’ll focus specifically on hormones that might be impacting your weight and what you can do to manage them. For many of us, our first introduction to the word hormones was somewhere in our early teens. While it may be a word that is familiar to us, defining it could prove more challenging. Hormones are chemical messengers that travel in our blood, tissues and organs helping with communication throughout our body. While they do impact growth, development and the aging process they also play a critical role in how our body gets energy from the foods we eat, known as metabolism. Hormones are powerful in that small amounts produce big changes within our bodies (1). This is why the foundation for reaching the Zone is based upon using the foods we eat and supplements we take to control our hormones. Dr. Sears has written about this extensively, but the real reason we gain weight is not due to insulin per se, but increased insulin resistance. Insulin resistance is caused by increased inflammation in our insulin-sensitive cells. This makes it difficult for insulin to communicate its message to its target cells in the liver, muscles, and adipose tissues. Increased insulin resistance forces the pancreas to produce even more insulin to try to get that message to the target cell in an effort to respond. As a result, insulin levels rise in the blood and stay constantly elevated. In the case of the fat cells in the adipose tissue, these constantly elevated insulin levels drive circulating fat into your existing fat cells and block the release of stored fat. This makes it difficult to lose weight. The Solution: To optimize your insulin levels for fat loss requires following an anti-inflammatory eating plan like the Zone Diet which is based upon controlling insulin levels at every meal and snack. This is achieved by balancing the protein-to carbohydrate ratio at each meal coupled with the use of small amounts of monounsaturated fats know to be anti-inflammatory. Since diet is one of the main reasons we develop insulin resistance, it’s also one of the easiest changes we can make to help reverse it. Adiponectin is a protein hormone that plays a role in insulin resistance. Individuals who are overweight, obese or have high levels of insulin resistance have been shown to have low levels of adiponectin. The leaner you are, the more circulating adiponectin you have which is strongly correlated with decreased insulin resistance in the fat cells. It is thought that adiponectin works by increasing fatty acid oxidation leading to improvements in insulin sensitivity (2). The Solution: In addition to an anti-inflammatory diet to help reduce insulin resistance and keep adiponectin levels high, supplementation with omega-3 fatty acids has been shown to increase circulating levels of adiponectin (3) as well as exercise (4). Cortisol is a hormone that the body produces under stress and can hinder our ability to lose weight. You need some cortisol, but where you run into issues is when the body is producing excessive amounts. In addition to stressful conditions we might be under in our day to day lives, excessive exercise, fasting, inflammation, and excess insulin can increase cortisol production. Cortisol is produced during fasting conditions when energy stores are depleted. During this time blood glucose and insulin levels begin to drop and as a result cortisol is released. Cortisol levels naturally rise in the morning, but its release signals the body to begin breaking down muscle for energy. This is why it’s critical to eat an appropriate breakfast coming off an overnight fast to restore blood sugar levels and replenish glycogen and to avoid skipping meals. In addition, when we have too much insulin circulating in our bodies it can drive down blood glucose levels resulting in the increased cortisol levels and making it difficult for it our bodies to release stored fat. The Solution: There a number of ways to reduce cortisol. One is to follow the Zone Diet to reduce diet-induced inflammation. The second is to resolve inflammation using high-dose omega-3 fatty acids. The third is to use polyphenols which help repair tissue damage caused by inflammation. The three of these together form the basis for the Zone Pro-Resolution Nutrition Program. Finally, there is the traditional way using stress reduction. Stress reduction can include meditation, relaxation, or moderate exercise (too intense can actually increase cortisol) to help reduce excess cortisol levels by reducing the activation of the sympathetic nervous system. Many of the problems that prevent us from reaching our goals are due to hormonal imbalance. The Zone Pro-Resolution Nutrition program consisting of the reduction, resolution, and repair of diet-induced inflammation is your best pathway to get to the Zone and make your goals a reality. Available at: https://medlineplus.gov/hormones.html. Accessed: September 6, 2018. Wu JH, Cahill LE, Mozaffarian D. Effect of fish oil on circulating adiponectin: a systematic review and meta-analysis of randomized controlled trials. J Clin Endocrinol Metab. 2013 Jun;98(6):2451-9. Markofski MM, Carrillo AE, Timmerman KL, Jennings K, Coen PM, Pence BD, Flynn MG. Exercise training modifies ghrelin and adiponectin concentrations and is related to inflammation in older adults. J Gerontol A Biol Sci Med Sci. 2014 Jun;69(6):675-81.